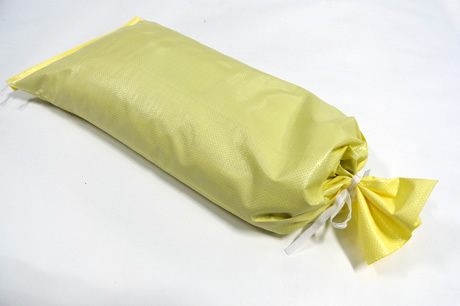 Pre-filled Sandbags contain approx 14kgs reusable granite sand (approx 25x50x10cm when filled) delivered wrapped on pallets (minimum order 70). All our Sandbags & filling sand are Recyclable. For advice or to place an order please call our sales team on 0800 0326447, Email us, fill out our Online Enquiry Form or simply just Buy Online. Sack Maker sell various sand bags suitable for many uses. Sandbags can be used to weigh down signs and tarpaulins, polyprop sandbags can also be used for temporary flood protection and fast damming of water courses. 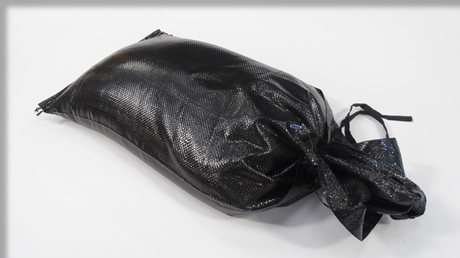 Dickson sacks make heavy duty sandbags for more permanent applications, and can supply Heavy duty black sandbags which have less of a visual impact on the environment. Traditional Hessian Sandbags are held in stock for immediate delivery and are bio degradable, they can be filled with a sand cement mix and quickly deployed to make effective sandbag walls. 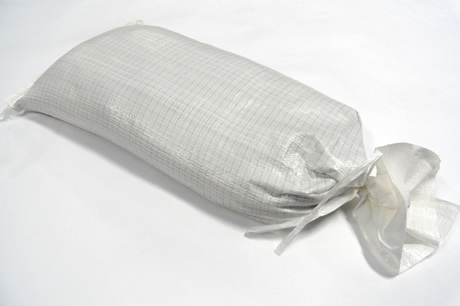 Sackmaker’s standard unfilled sandbags all come with a sandbag tiestring for easy closing and we supply filled sandbags from stock containing approximately 14kilos of quality sand.